Mystically Superior - Equip a superior item in every slot with a minimum item level of 463. Mystically Epic - Equip an epic item in every slot with a minimum item level of 476. 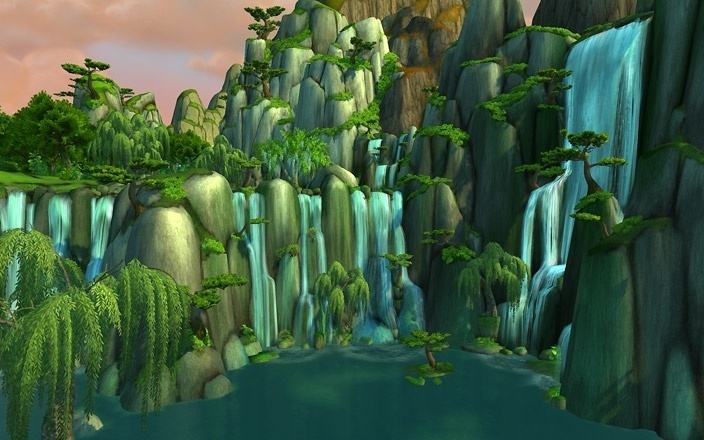 What a View - Visit each of the 10,000 waterfalls in Pandaria. ShadowPan - Earn exalted status with the ShadowPan. Show Me Your Moves - Defeat the Terracotta Army without being by Devastating Arc, Stomp, or Energizing Smash. Stormstout Brewery - Defeat Yan-Zhu the Uncasked in Stormstout Brewery. Aisatsu - Bow to the Shadowpan Initiates when they bow to you after being defeated, but before they fully heal during the Master Snowdrift Event. Conscriptinator - Gain three stacks of Resin Residue by defeating Mantid Conscripts. Cleaning Up - Defeat the Sha of Doubt in Temple of the Jade Serpent while under the effects of Purified Water. Heroic: Stormstout Brewery - Defeat Yan-Zhu the Uncasked in Stormstout Brewery on heroic difficulty. Keep Rollin’ Rollin’ Rollin’ - Kill Ook-ook after assaulting him with 20 rolling Brew Barrels in Stormstout Brewery on heroic difficulty. How Did He Get Up There? 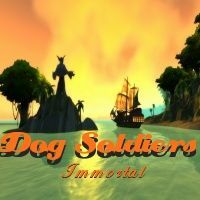 - Find a way to get the Hozan Clinter to let go in Stormstout Brewery on any difficulty. I Am the Hopocalypse! - Smash 100 vermen with a single hammer swing in Stormstout Brewery on heroic difficulty. Ling-Ting’s Herbal Journey - Collect all 30 golden hoplings hidden around the Stormstout Brewery on any difficulty. Rattle No More - Defeat Rattlegore without allowing him to gain more than 5 stacks of Rusting in Scholomance on heroic difficulty. Sanguinarian - Defeat a Krastinovian Carver that has 99 stacks of Boiling Bloodthirst in Scholomance on heroic difficulty. Soul Savior - Defeat Lillian Voss without allowing Lillian’s Soul to reach 24% health in Scholomance on heroic difficulty. Mosh Pit - Get a combination of 8 players and Scarlet Defenders caught up in Armsmaster Harlan’s Blade of Light on heroic difficulty. Wild Side - Take a ride with Armsmaster Harlan’s Blades of Light for at least 10 seconds and live to tell the tale on heroic difficulty. Pool’s Closed! - Defeat Wise Maru without touching Corrupted Water in Temple of the Jade Serpent on heroic difficulty. Bombs while bomb - Trigger 15 explosions within 15 seconds during the Saboteur Kip’tilak encounter on heroic difficulty. Shado-Pan Monastery - Defeat Taran-Zhu in Shado-Pan Monastery. The Obvious Solution - Eliminate the remaining Sha imprisoned in the Sealed Chambers and then defeat the Sha of Violence in Shado-Pan Monastery on heroic difficulty. Hate Leads to Suffering - Defeat Taran-Zhu while every party member is at maximum hatred in Shado-Pan Monastery on heroic difficulty. Glintrok N’ Roll -Defeat Gekkan and his Glintok entourage in Mogu’shan Palace on heroic difficulty within 5 minutes of being spotted by the Glintrok Scout. Silver Challenge: Stormstout Brewery - Reward: A piece of challenge armor. Full Silver: Mists of Pandaria - Achieve a Silver Challenge in every Mists of Pandaria dungeon.